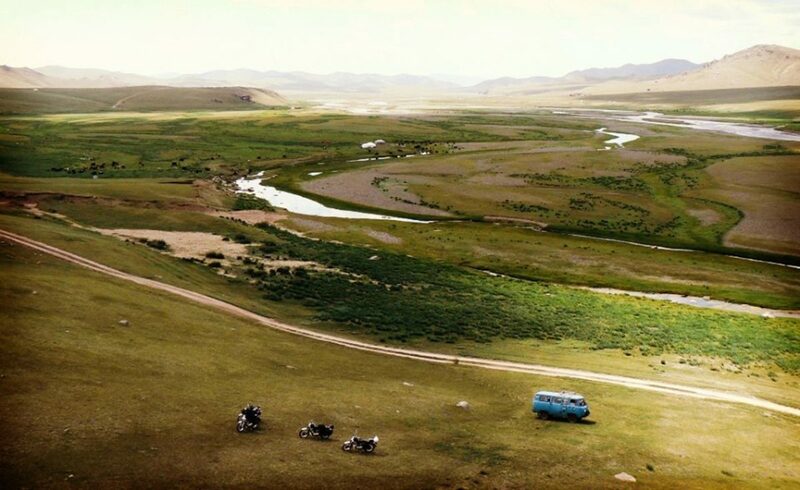 An original expedition in a Royal Enfield sidecar, through the Mongolian steppes. 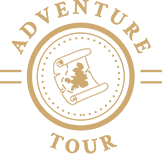 A seasoned long-haul adventurer and sidecar enthusiast, he’s always up for the most mind-boggling adventures. 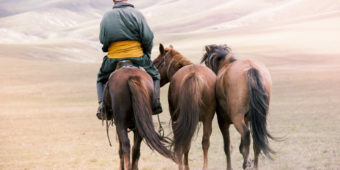 Open to all fans of adventure and the great outdoors, this exceptional trip takes you to discover Mongolia differently. 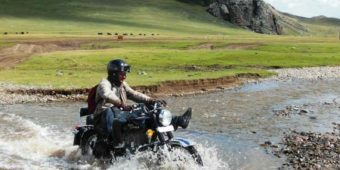 Be the pioneers of a trip in Yeti sidecars, specially designed for our Mongolia-based fleet of Royal Enfields. 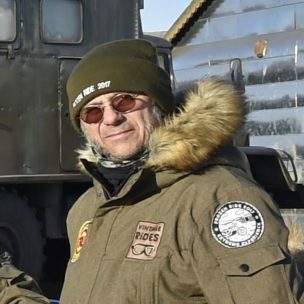 The Yeti’s simple yet efficient steel body – tested in Ladakh in 2014 by long-time sidecar designer Jean Burdet and his son – is ideal for this type of terrain. Courtesy of these prodigious machines, you’ll feel incomparably free. 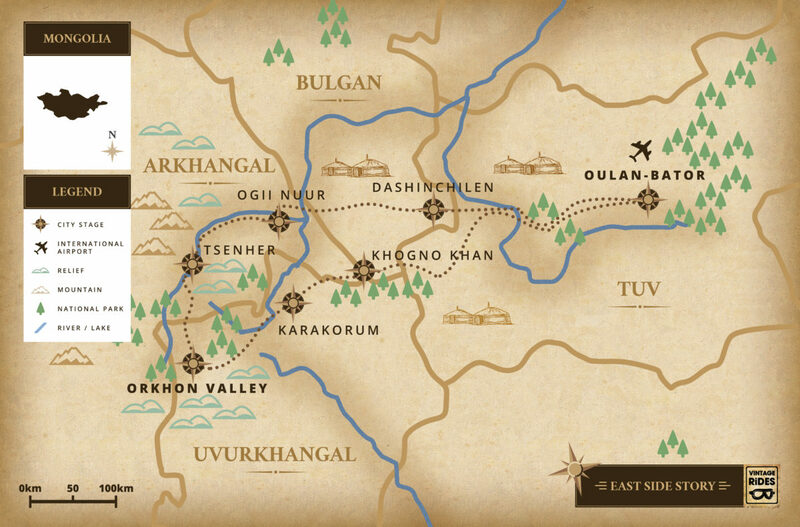 From steppe to sand dunes, travel trails through the rolling forests of Orkhon, seeking encounters with nomads. 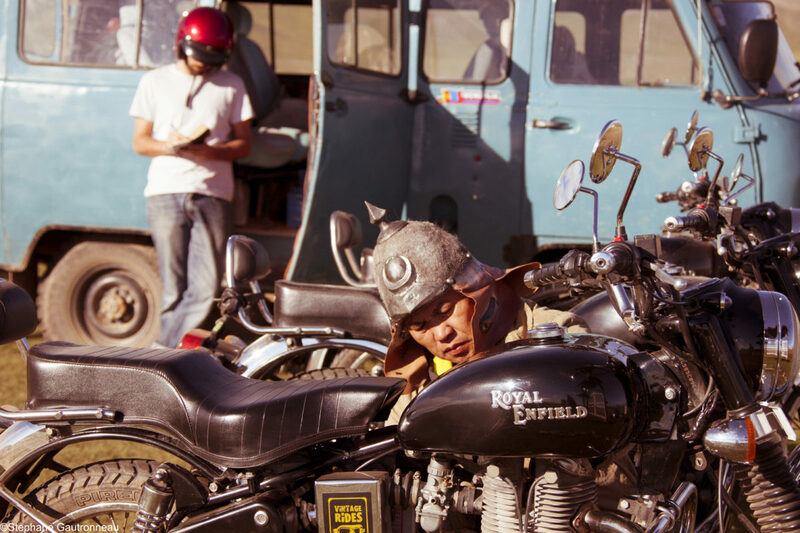 Join our wild bunch for the first-ever Mongolian adventure in Royal Enfield sidecars. You're met at the airport and then transferred to your hotel. You’ll have some free time in the city and you can dine at your leisure. After an early breakfast, you meet your tour leader. We’re transferred about 19 miles in a private vehicle, where we collect our bikes and it’s time to set off on our adventure! 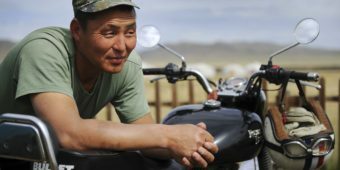 We take a superb road through the steppes with the mountains as a backdrop and come across flocks of sheep, cows and goats in our path. We spend the night at the village's only guesthouse! It’s simple and clean: having a room to lay our heads is luxury enough! 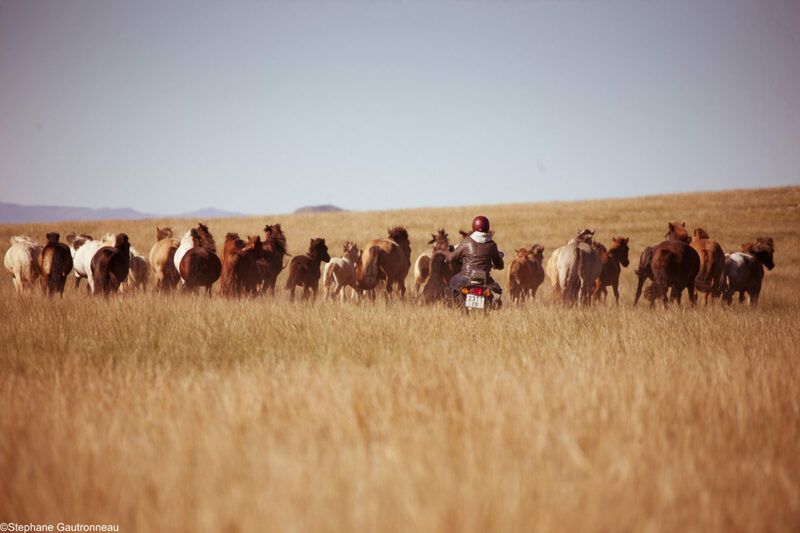 We set off this morning on a beautiful road through the steppes, before riding a small, unpredictable track. 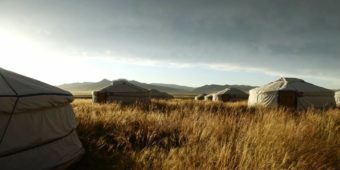 We’ll experience a dash of adventure before reaching our destination early afternoon: a yurt camp on the shores of Ogii Nuur lake, nestled at the foot of the mountains. Spend the rest of the afternoon at your leisure: take a walk by the lake or rest in your yurt. Sunrise at Ogii Nuur lake is worth getting up early for. 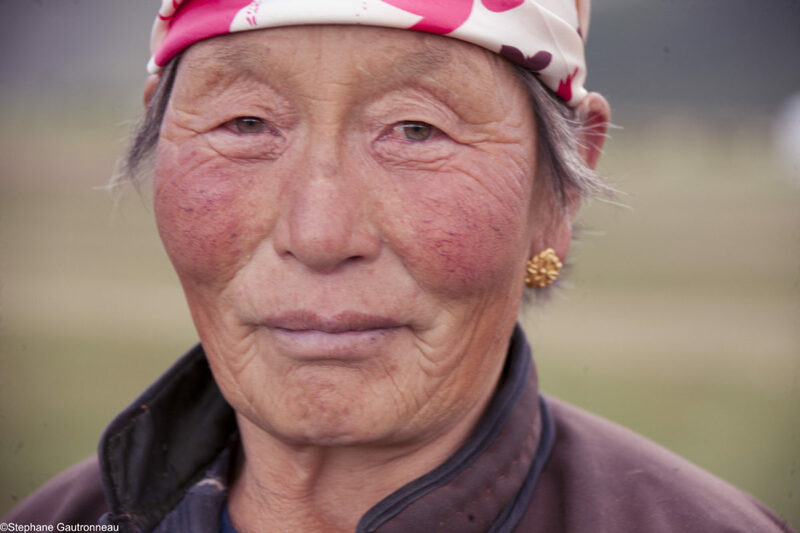 We take a track through the heart of the steppes, which stretches as far as the eye can see. 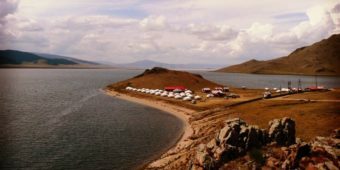 First, we pass unspoilt, virgin countryside and then we spot nomad yurts dotted here and there. The track enters hillier terrain on the approach to our yurt camp, where we will enjoy an early-evening soak in the hot springs. 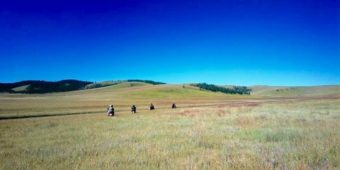 The track takes us into the heart of the Orkhon river valley and the landscapes become ever more mountainous. 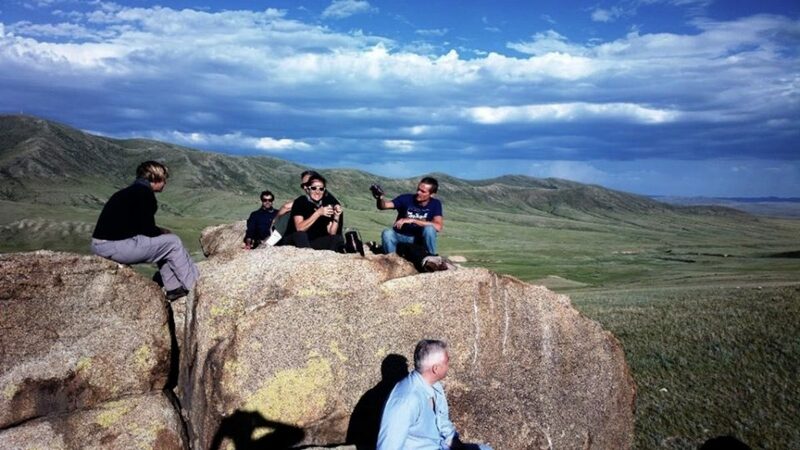 The steppes gradually change into vertiginous volcanic Khangai mountains. 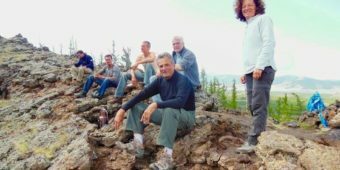 We arrive mid-afternoon at our host’s place, near the Orkhon waterfalls. 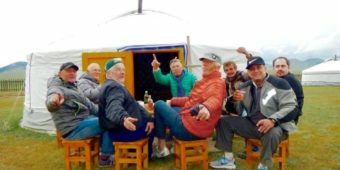 Night in host’s yurts. 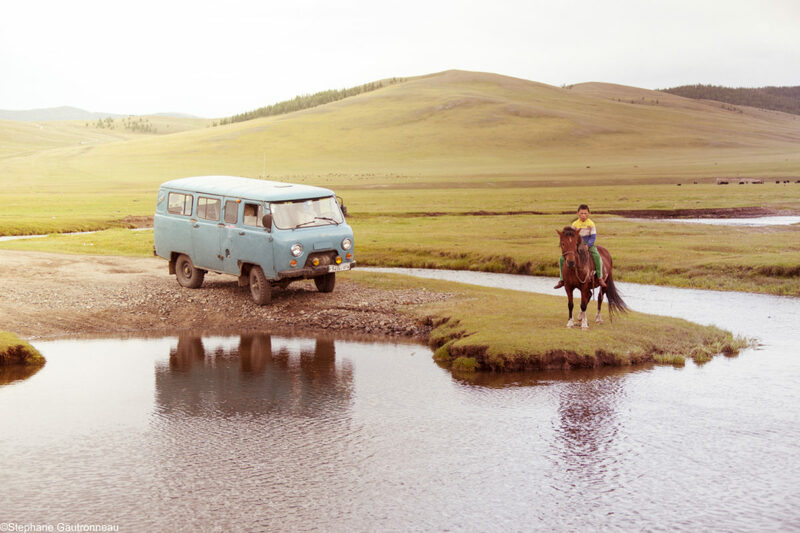 We discover the charms of nomadic life. Today,we go to one of the most beautiful waterfall of the region. In mid-afternoon, back in the saddle for a 90-minute cruise through the valley. Night at the camp. 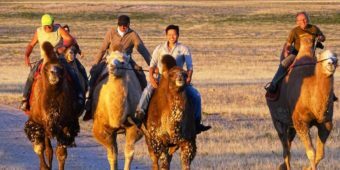 We make an early start and head north on superb tracks then a smooth asphalt road towards the ancient capital of Genghis Khan's empire. You can enjoy a lie in today, if you’re that way inclined! If not, you can visit the archaeological museum and the city’s temple, which are living proof of the steppes’ glorious past. After lunch, we take an asphalt road to the Khogno Khan dunes. The steppe winds carry the sand to the foot of the mountains, giving it the nickname "Mini Gobi'' after the desert. 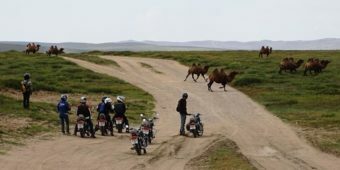 We take the road back to Ulan Bator - a wonderful stretch of asphalt crossing the desert plains, then the steppes. This is our last day to soak up these mind-blowing landscapes. We end the day in the capital. You’re transferred to the hotel, where you can have a free evening. Those with a late flight can have a free day in the city. You can enjoy the capital’s unique atmosphere, which is both harsh and welcoming at the same time. 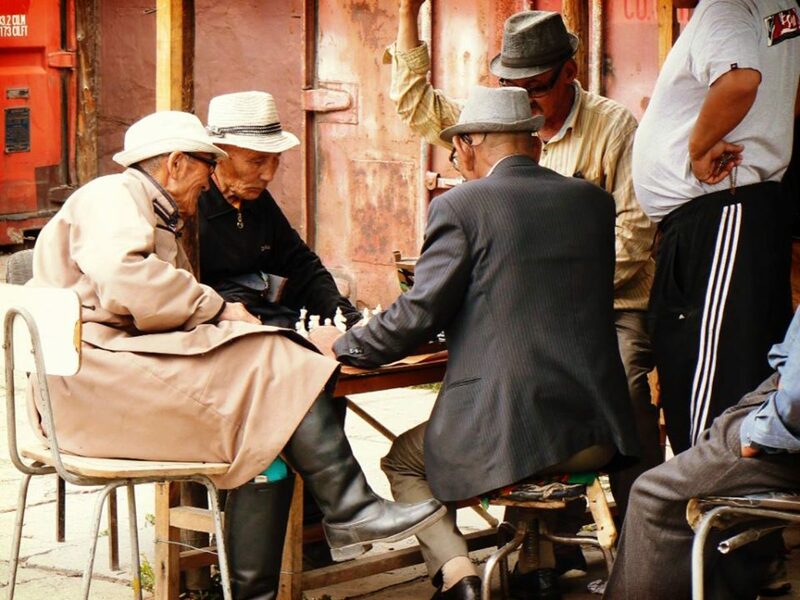 Ulan Bator is one of those cities that everyone has an opinion about. A taxi will take you to the airport and this is where our services end. These dates don't suit you?